Transformative, mind-bending, emotional, deeply moved. 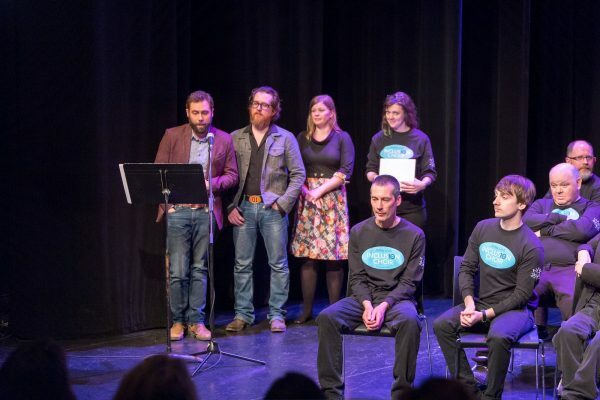 These are all words that were used to describe last night’s Stella’s Circle Sings for Canada event at the LSPU Hall. 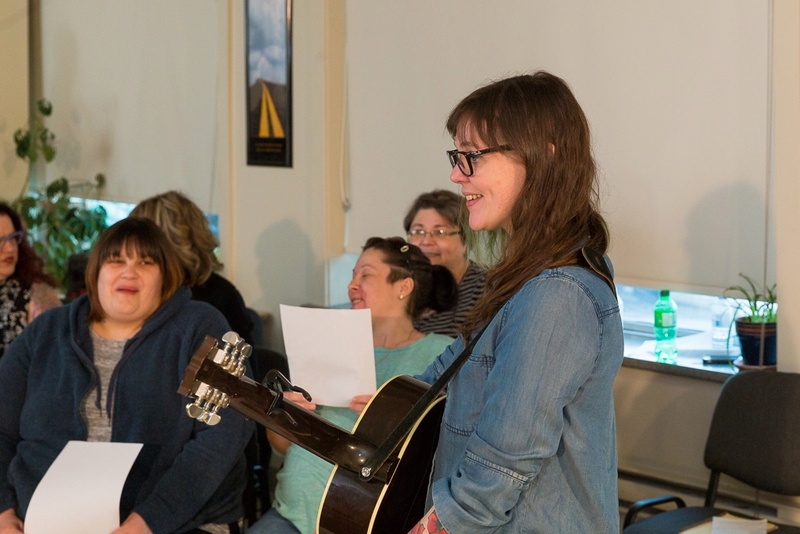 Stella’s Circle was fortunate enough to receive funding from the Government of Canada through Canada150 to work with Juno award winning Amelia Curran to write a song. 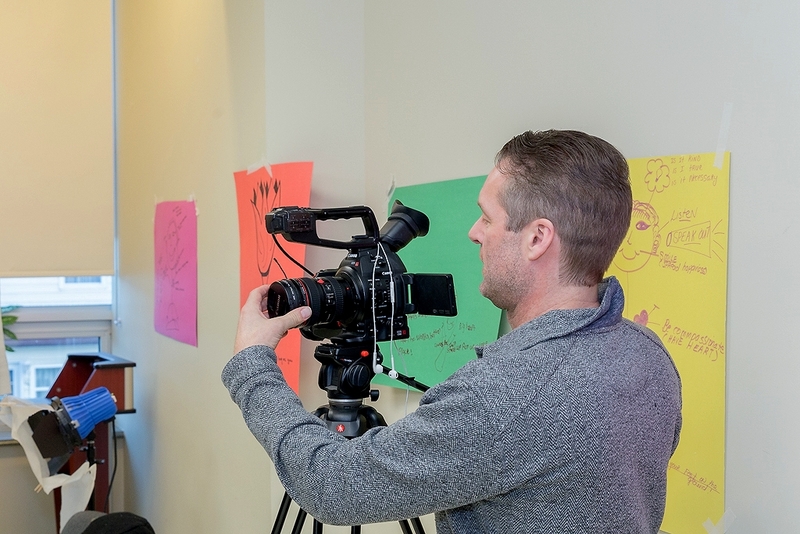 The process was documented on film by Roger Maunder of UpSkyDown Films. 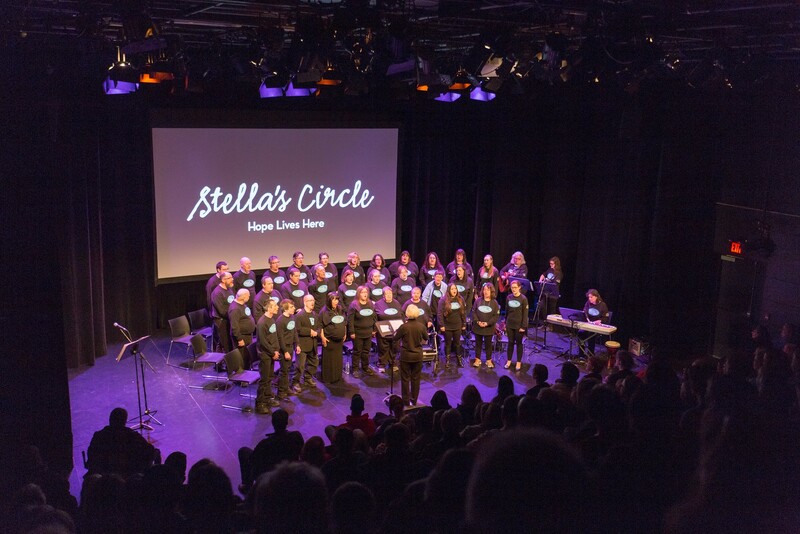 The choir, consisting of Stella’s Circle participants, staff and volunteers, enthusiastically took part in the song writing process! There was no shortage of ideas. And now, it’s our song, appropriately titled Be The Change. Our original song celebrates our sense of community, gives people a voice and elicits pride in our country. The choir spent many hours preparing for the concert and our legendary volunteer choir conductor of ten years, Helen Murphy, showed amazing persistence and patience! And then the concert happened and we are floating on air! Thunderous applause greeted the choir when they first appeared on stage. The choir sang four songs which told the history of the choir with poignant and clever narrative provided by Rob McLennan, Director of Employment Services, and Chief Choir Champion. After the choir’s set, Amelia sang four songs. We all watched the documentary by the incredibly talented Roger Maunder. The evening ended, or so we thought, with the performance of the new song by the Inclusion Choir and Amelia. But Amelia had a little something up her sleeve. 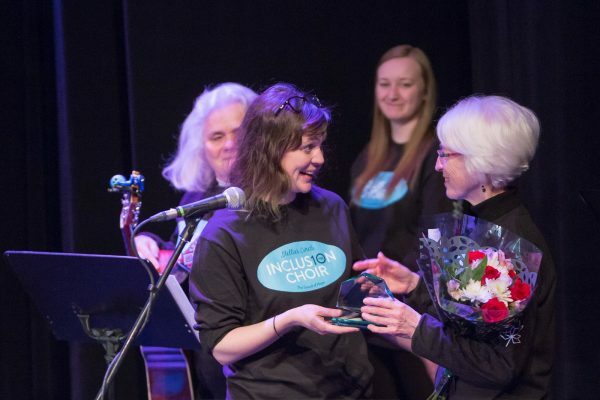 She called down The Once who then proceeded to present the Choir with a MusicNL award celebrating ten years of community empowerment! What an incredible surprise! 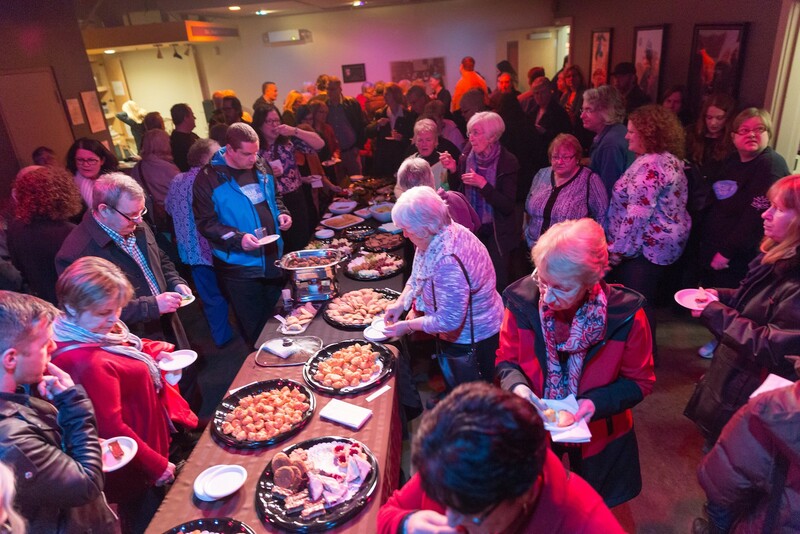 True to our inclusion roots, we all enjoyed a reception at the Hall after the performance, catered of course by the Hungry Heart Cafe. The event was a sincere display of the power of inclusion and the importance of community. Oh Canada indeed! Roger will now work in footage from the concert into the documentary. Stay tuned for opportunities to see the film! Many thanks to volunteer Dave Hiscock for the photos.